Despite a markedly better effort than on Friday night, #2 Terriers were defeated again by Minnesota State, behind 26 saves by goalie Jason Pawloski. Shot dominance was reversed in the second—14-4 MSU—and the visitors took advantage when BU was whistled for too many men on the ice at 6:52. After an initial save by Jake Oettinger, Nick Rivera potted the rebound for a 1-0 lead. Seven minutes later the Mavericks doubled the lead. After two Oettinger saves on Zeb Knutson, CJ Suess beat a Terrier defender to the rebound. “Obviously, it was a disappointing weekend. But tonight was a different kind of disappointing. Last night I was very disappointed with how we played; tonight I was more just disappointed that we lost because I thought we did a lot of things tonight that we didn’t do last night. We competed; I thought we were physical. ►Terriers have received a commitment for 2020 from left-shot defenseman Donavan Sebrango of the Canadian International Hockey Academy’s Midget AAA White team. '02 Donovan Sebrango (CIHA White) commits to BU. 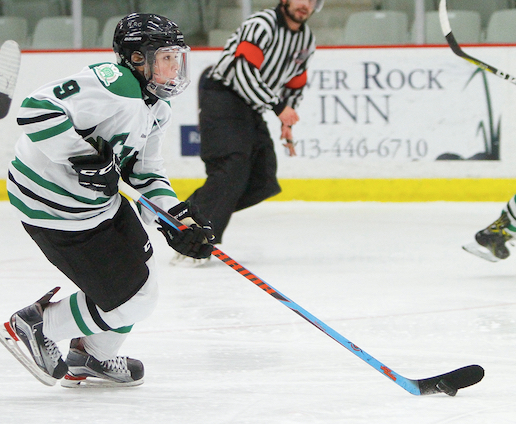 Elite offensive left-shot D who plays on same team as fellow Terrier commit Dylan Peterson. Highly regarded for his vision, hockey IQ, offensive skills and physical play, the 5-10, 161 pound native of Ottawa is a teammate of BU 2020 commit Dylan Peterson and the pair of 15 year olds are tied for the team scoring lead with five points. Last season, Sebrango was second to Peterson in scoring (4-25-29 in 30 games) for the CIHA Bantam AAA team, captained the squad and was named to the Bantam AAA All-Star game. Earlier this year, Sebrango and Peterson were in the CCHL Ottawa Jr. Senators’ preseason camp as the only 2002 birthdates. This past May, both players, along with another 2020 recruit, Josh Lawrence (Selects Academy Hockey at South Kent School), participated in the World Selects Invite for 2002s. BU’s 2020 recruit class, which added St. Sebastian’s goalie Drew Commesso last month, also includes St. Seb’s forward Liam Connors, NTDP defenseman Alex Vlasic and Rivers School defenseman Cade Webber. Charlie McAvoy picked up his second assist of the season in the Bruins 6-2 win aganst Arizona. 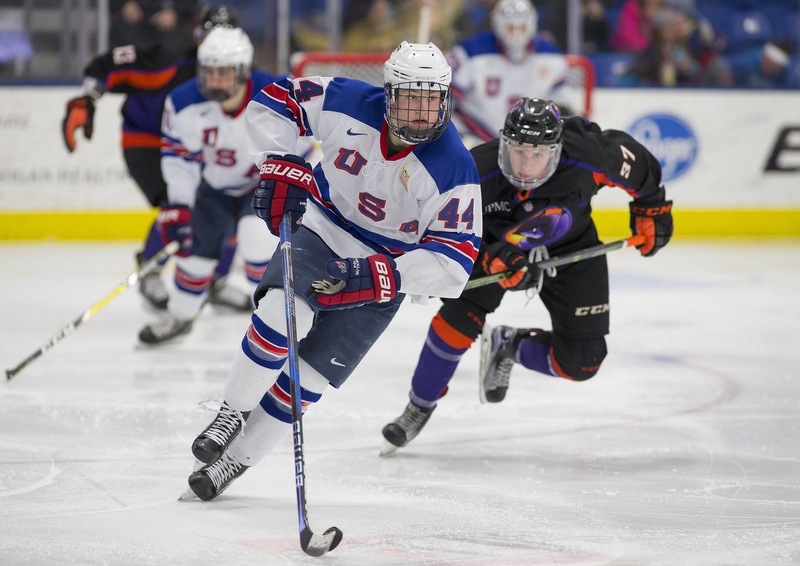 The game brought McAvoy together with the Coyotes' Clayton Keller, his teammate last season with the Terriers and on the gold-medal US World Junior Championship team.